The northeast Asian deciduous forest biome is located on the continent of Asia at about 30° to 45° North latitude, and about 130° to 145° East longitude. The biome covers parts of Korea, China, Russia, and Japan. In one part of China it is known as the Northeast China Plain deciduous forest, and in another part of China near the plain it is known as the Manchurian mixed forest. The part located in Korea is also known as the Central Korean deciduous forest. The forest experiences all four seasons, and has long cold winters, and warm, humid summers. The temperature changes within the seasons. Annually about 20-40 inches of rain falls, mostly in the summer and fall. 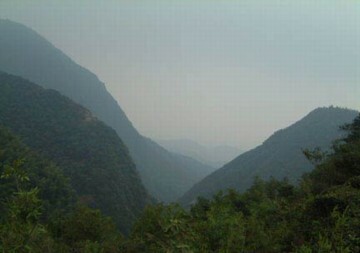 The Central Korean deciduous forest covers about 40,400 square miles, and is about the size of Ohio. The Manchurian mixed forest covers about 194,600 square miles, which is about twice the size of Wyoming, and the Northeast China Plain deciduous forest covers 89,800 square miles, about twice the size of Pennsylvania. The biome is highly elevated in some places and the home to more than one mountain range. Walking through this biome, the trees one would see would be similar to trees in the United States. Pine trees, spruce, oak, and ash trees grow in this biome as well as Manchurian elm, Manchurian walnut, Mongolian oak, and Daurian birch. Below these trees a valuable medicinal plant called the Asian ginseng grows, as well as the shrubs bush clover, hazel, Daurian buckthorn, hawthorn, and the thorny Daurian rose. The Mongolian oak, and the Daurian birch tend to grow in drier spaces. Many areas like where the Mongolian oak, and Daurian birch stand are very dry, but other areas are prone to seasonal flooding. Forests there probably include woodland, grassland, and swamp components with closed canopy forest staying in the well drained but wetter sights. The bamboo plant, which grows in the area, has adapted to growing in the cleared areas of the forest, rather then the shady ground floor. Though some trees in the Northeast Asian deciduous forest are the same as those in the United States, if one got a glance at the animals they could tell they were not in the USA. The endangered red-crowned crane, and red panda are two of these animals. Others that now have first class protection are the sable, Sika deer, leopard, and Siberian tiger. Otters hang out in freshwater streams in this forest biome, while Asiatic black bears look for insects. Leopards and Siberian tigers hunt in search of their prey, which include musk deer, red deer, Sika deer, and goat-like animals called gorals. Lynx and sable prowl for smaller prey, which include rodents and small birds. Pandas in the area adapt to the area by growing thick winter coats. In recent decades heavy logging has extensively changed much of the forest. Timber harvesting, over-harvesting, and fires have also dramatically reduced the amount of Asian ginseng, which is rare, or extinct in most of eastern Asia. The Northeast China Plain is intensively farmed for wheat mainly, so very little traces of the original forest remain. Patches of forest can still be seen in some places where it has been protected for religious reasons, or where the land is steep and inaccessible. At the mouth of the Liao River where wetlands, reed beds, sand, and mudflat areas still exist, there is a breeding shelter to protect endangered red-crowned cranes and Saunders gulls lies, called the Shuangtai Itekou Nature Reserve. Though the Northeast Asian deciduous forest conservation status is critical and endangered, hopefully in this millennium more reserves will be established, and maybe the countries' government will do something about the extensive farming in the Northeast China Plain. Hopefully the deciduous forest will never fully disappear. Green, Robert. China. Lucent Books, CA: 1999. Kaplan, Elizabeth. Temperate Forest. Benchmark Books, New York: 1996. "Terrestrial Ecoregions--Central Korean Deciduous Forest." "Terrestrial Ecoregions--Northeast China Plain deciduous forest."